Bigger than previous Civic. Independent rear suspension means better ride and handling. New 1.0 VTEC turbo petrol is excellent while i-DTEC diesel is very refined. Magic Seats no longer a feature. 1.0 doesn't work well with the CVT. 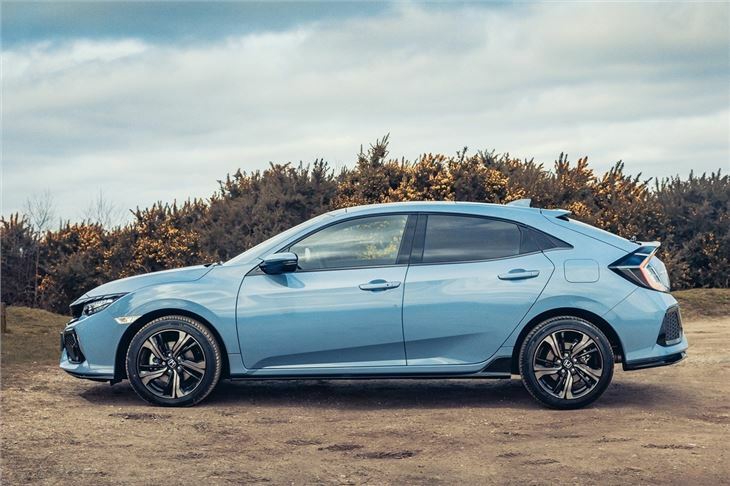 ﻿We're still not convinced it's a looker, but the 2017 Honda Civic is nevertheless one of the best hatchbacks on the market today. Affordable, well equipped and very practical, it's a high quality car that's good to drive yet still comfortable. As an overall package it has plenty going for it. Many of the quirks from the old Civic have been eliminated. 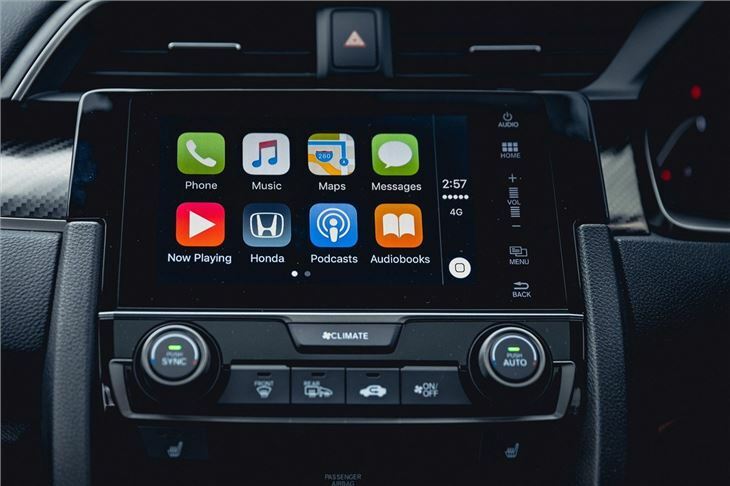 So the touchscreen system - called Honda Connect - is significantly better and easier to use, while that odd dual screen display has gone. Even the view out the back is better, although the split rear screen is still there. 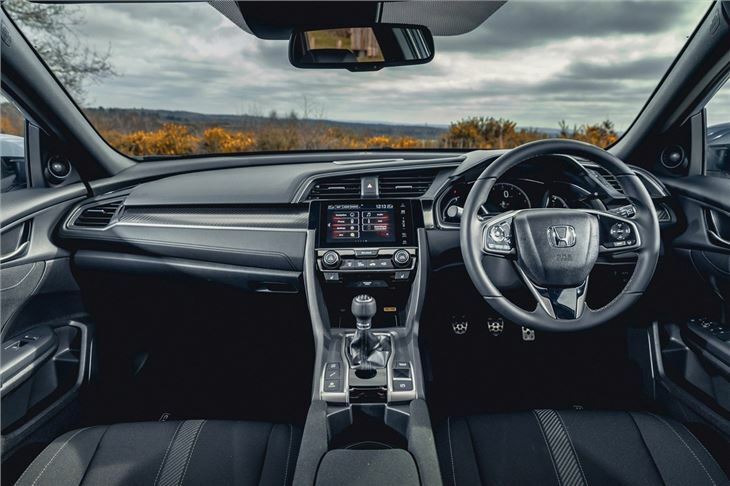 It certainly feels a significant step forward from the previous Civic, particularly in terms of quality and finish. 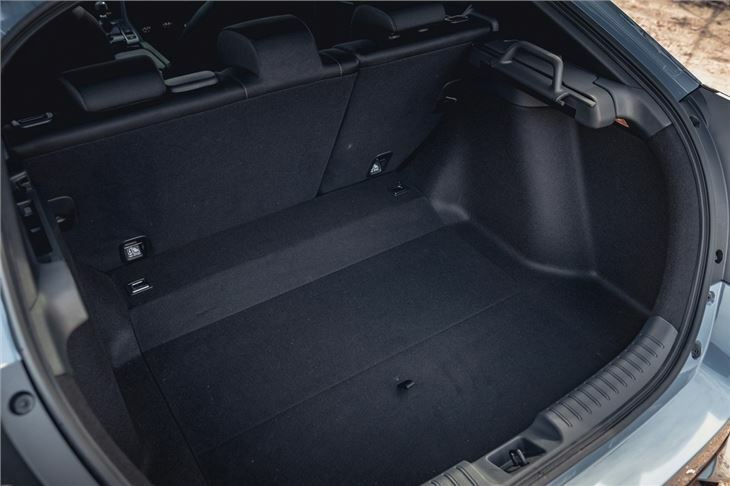 The increase in length means the Civic now sits some way between a Focus and an Octavia - and gives extra legroom for those in the back. What has gone - and this is a surprise - is the magic seats that have long been a Honda trademark feature. 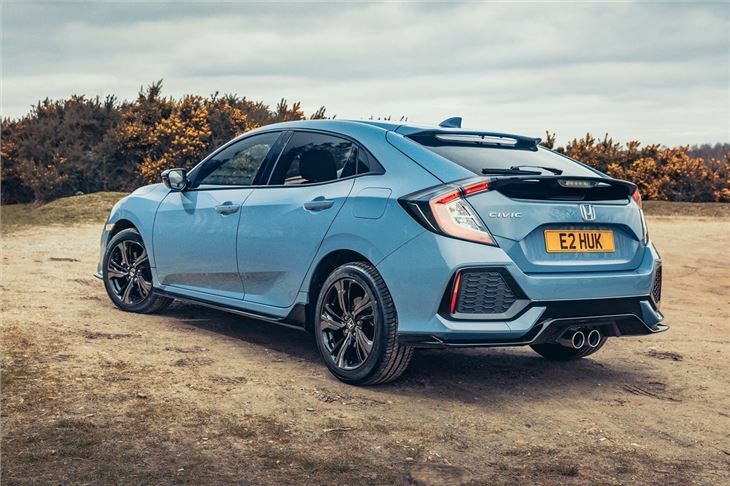 Instead there's a standard rear bench but the boot remains as big as ever and makes this the most family-friendly hatchback around, helped by a low load lip. It means you can get a pushchair in and still have room left for your weekly big shop. But what the Civic does get is a new fully independent rear suspension set-up. At last. Hurrah. And that means it handles with more precision than before plus it rides better too, although it is still a little on the firm side, albeit not so much to be uncomfortable for most. 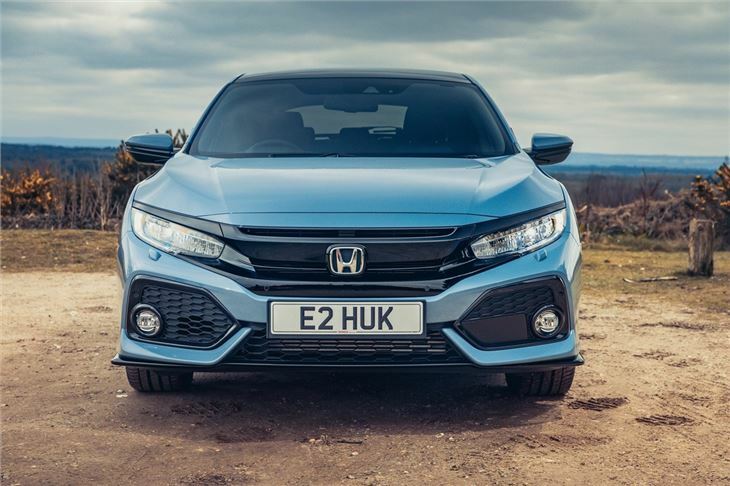 There are also new engines with Honda offering downsized turbocharged petrols. 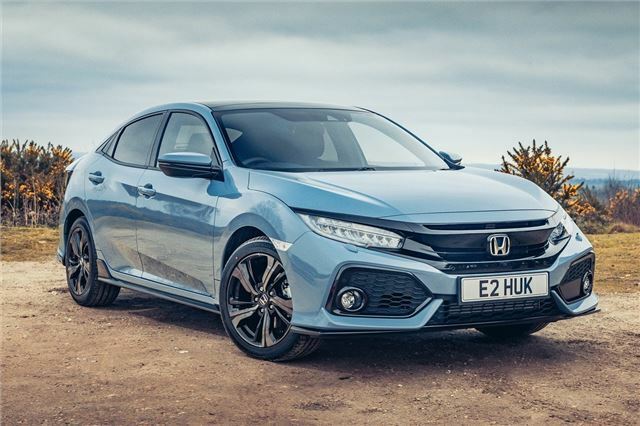 The 1.0-litre VTEC turbo is excellent and suits the Civic perfectly. This three-cylinder engine is the one we'd go for, although we'd avoid the CVT unless it's essential you have an automatic. The six-speed manual is far better and with a claimed figure of 55mpg should prove reasonably cheap to run. If you want more power there's a chain cam 1.5 VTEC turbo with 182PS that only comes in Sport and Prestige trims. With higher prices to match. It's the SE and SR trims which look better value coming well equipped for the money. There is no shortage of good family cars on the market, covering everything from hatchbacks to people carriers and crossovers. The Honda Civic is up there with the best of them and is a car that's easy to recommend. Put simply, it's very, very good. Ok but could be better.